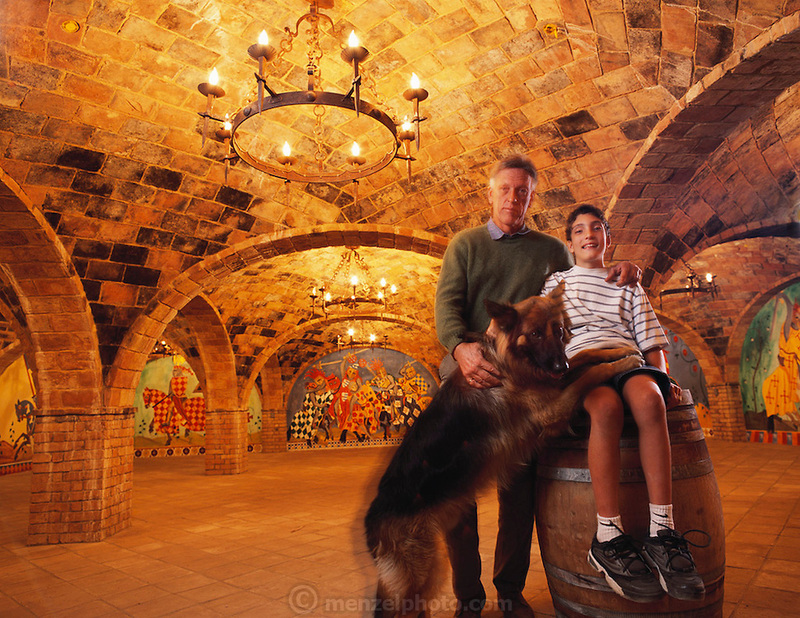 Winemaker Daryl Sattui, with his son Mario and dog Lupo, in one of the many underground wine storage rooms of a castle being built in the Napa Valley, California..Daryl Sattui's Castello di Amoroso, a version of a Tuscan hilltop castle in Calistoga, California. Under construction in 2003. MODEL RELEASED.